Simon & Schuster Books for Young Readers, 9780689868948, 32pp. For Widdle, Waddle, Piddle, Puddle, and Little Quack that means time for B-E-D! But there's blinking, hooting, and swaying in the night that's keeping everyone awake! Mama wants to know when it will finally be BEDTIME? 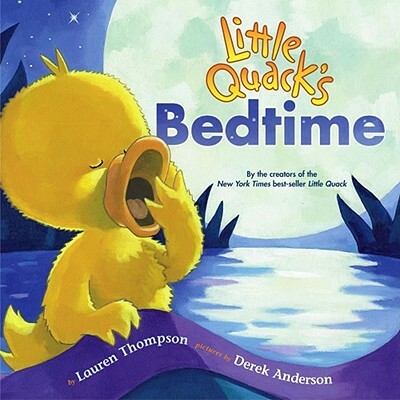 Find out in this timeless lullaby of a story by renowned author Lauren Thompson in Derek Anderson's splendidly illustrated world!